This is AMERICAN IDOL Contest! The AMERICAN IDOL bio-diesel-fueled mobile experienced launched with this year’s Season 10 premiere of the show on Wednesday, January 19 in Santa Monica, Ca. then traveled to Downtown Los Angeles, and San Diego. Your city just might be next. Read on to find out! Once entering this mobile tour, visitors will experience a selection of memorabilia from the show including photographs of past winners, clothing from host Ryan Seacrest, judge Randy Jackson, and winner Carrie Underwood. The most important experience on the bus is a chance to enter in the “This is American Idol” catchphrase contest. Visitors who are U.S. residents 15 years of age or older will have the opportunity to record their own take on the “This is AMERICAN IDOL” introduction made famous by Ryan Seacrest and be entered into a nationwide contest. The winner will win an on-stage appearance on the show in Hollywood to deliver the famous line alongside Ryan! As part of the tour, fans can also “Be Your Own Idol” by doing some karaoke and posing for a photo with life-size standees of Randy Jackson, Ryan Seacrest, Steven Tyler, and Jennifer Lopez. The mobile tour will be in Dallas, TX this weekend for the Super Bowl. Other cities include: New Orleans, LA; Birmingham, AL; Chicago, IL; Nashville, TN; Atlanta, GA; Charlotte, NC; Washington, DC; Baltimore, MD; Philadelphia, PA; New York, NY; and Boston, MA. 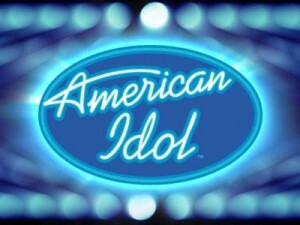 Read more about “AMERICAN IDOL” here on Hollywood Junket. Check out more “REALITY COMPETITION SHOWS” here on Hollywood Junket.